How does any parent let this happen? 17-year-old Stacey Irvine collapsed last week after struggling to breathe and was taken to the hospital with serious injuries. Doctors found her body lacked nearly all essential vitamins and minerals before injecting her with high doses of various nutrients. The young girl says she has never tasted fresh fruits or vegetables, and has been hooked on chicken nuggets since her mother let her try one at the age of 2. The UK teenager says she will occasionally vary her diet— with a slice of toast or a bag of potato chips. Her mother said she once tried starving Stacey in an effort to get her to eat healthy food, but the technique didn’t work. Probably not the press McDonald’s wants. 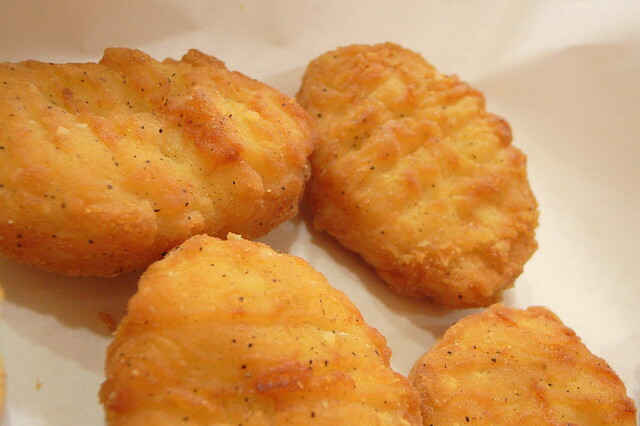 The fast food giant had a disastrous social media campaign earlier this week.